Incarcerated in one of Thailand's most notorious prisons, an English boxer fights in Muay Thai tournaments to earn his freedom. 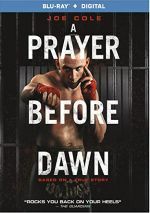 Based on a true story, 2018’s A Prayer Before Dawn introduces us to Billy Moore (Joe Cole), a British boxer who winds up in Thailand. 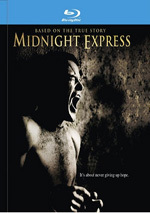 Struggling to survive and addicted to a drug called “Yaba”, Billy winds up incarcerated. Authorities send Billy to the notorious, violent Chiang Mai Prison. Stuck in this awful place, Billy participates in Muay Tai fighting tournaments in an attempt to earn his freedom. Though that makes Dawn sound like “feel-good” fare, one shouldn’t enter the film with the expectation that it’ll leave a warm spot in your heart. Graphic and brutal, the movie beats down the viewer along with its lead character. Dawn progresses in an unconventional manner, as it plies us with next to no exposition. We gradually learn a little about Billy, but whereas the average film would toss out biographical and plot details right out of the gate, Dawn goes for a much more experiential feel. This means minimal dialogue and information, as instead we follow Billy’s journey in a blunt, aggressive way. This especially becomes true when he enters the prison, as he undergoes all sorts of abuse and the film depicts these indignities with graphic detail. While it can be tough to take this horrifying material, the choices do make the film seem more realistic and less “Hollywood”. Even the inevitable “happy ending” doesn’t come across as particularly joyful – it just connotes an end to misery more than a sense of triumph. All of this makes Dawn a decidedly different affair, and one that meets its goals. Ugly, vicious and cruel, I wouldn’t want to watch it again, but I respect the film’s approach to the subject matter and think it succeeds in its pursuit of honesty. A Prayer Before Dawn appears in an aspect ratio of approximately 2.38:1 on this Blu-ray Disc. The image mostly seemed positive. For the most part, sharpness looked good. A little softness crept into the image at times, but not frequently. Instead, the movie almost always appeared nicely detailed and distinctive. No issues with jagged edges or shimmering occurred, and edge haloes remained absent. Source flaws were absent. In terms of colors, the movie went with a subdued teal impression most of the time. The tones consistently seemed clear and concise within those parameters. Blacks were deep and firm, while low-light shots came across as appropriately dense but not overly dark. Outside of some softness, the picture appeared positive. I also felt pleased with the DTS-HD MA 7.1 soundtrack of Dawn, as all of the battles ensured that the mix offered plenty of involving material. The fights filled out the spectrum in an active, involving manner that created a fair amount of involving audio, and environmental information added to the mix, especially in the prison setting. Audio quality also was very good. Speech seemed crisp and distinctive, as I noticed no flaws like edginess. Music felt warm and full, while effects added a real bang to the proceedings, as those elements showed good clarity and accuracy. The mix suited the story and situations. A featurette called Locked Inside the Walls runs 15 minutes, 38 seconds and offers notes from director Jean-Stéphane Sauvaire, producers Roy Boulter and Sol Papadopoulos, screenwriter Nick Saltese, stunt coordinator/fight choreographer David Ismalone, and actor Joe Cole. “Locked” looks at characters and story, Sauvaire’s impact on the production and approach to the material, locations, cast and performances, stunts and fighting. “Locked” doesn’t offer a long running time, but it manages to give us a fairly tight view of the film’s creation. In His Own Words lasts 11 minutes, 14 seconds and features the real Billy Moore. He tells us about his life and experiences. Moore delivers a good take on the facts that influenced the movie. The disc opens with ads for Hereditary, First Reformed, Eighth Grade, Hot Summer Nights and The Children Act. No trailer for Dawn appears here. Consistently brutal and ugly, A Prayer Before Dawn will be too graphic and unflinching for many viewers. If you can stomach the nastiness, though, you'll find an unusually honest and realistic look at its subject matter. The Blu-ray brings pretty positive picture and audio along with a few bonus materials. Dawn becomes a gripping drama.